It was an exceptionally bearish start to the year for world equity markets, with net January declines ranging from -22.6% (China), -5.5% (USA - Dow), to -2.0% (Russia). 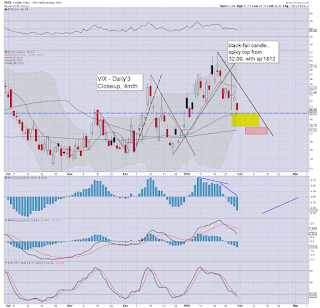 Near term outlook offers threat of further upside into mid February, but with high probability of a crash wave in March. 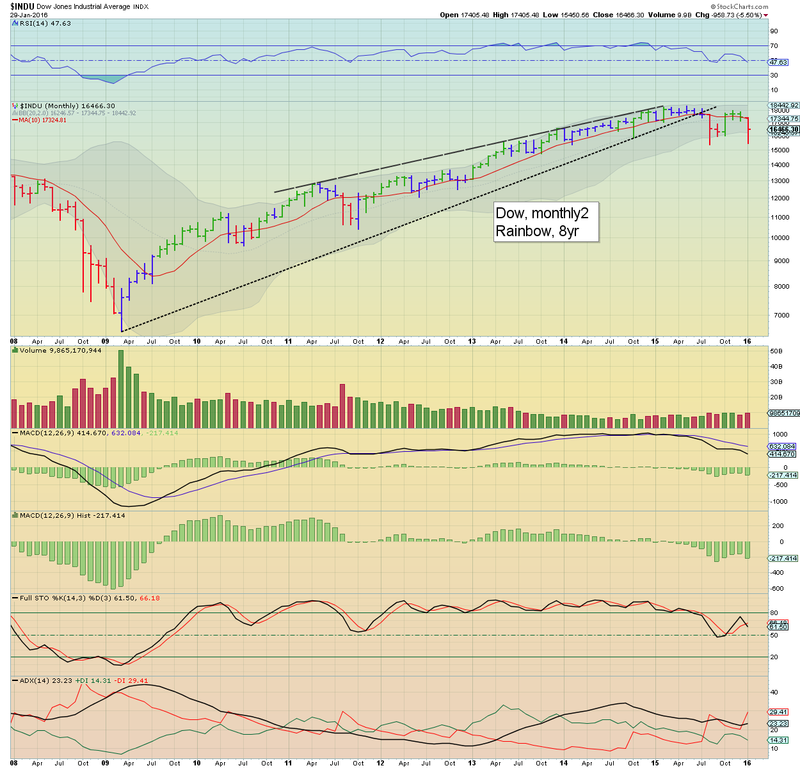 The mighty Dow saw a net monthly decline of -5.5%, settling @ 16466. 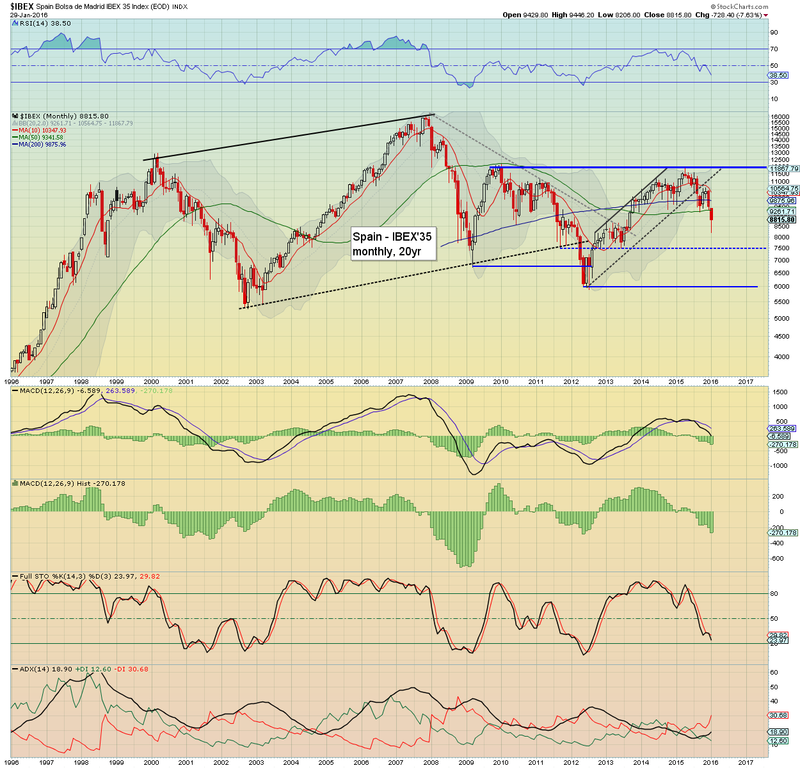 However, it is highly notable that at one point the Dow was net lower by -1974pts @ 15450. Underlying MACD (green bar histogram) cycle is now ticking lower again. At the current rate of decline, the MACD (black line) will cross below the zero threshold at the start of March. The last time the Dow saw that technical setup... Sept'2008. 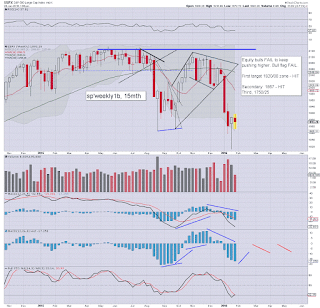 Upside resistance of the monthly 10MA stands at 17324, but that will drop to around 17000 at the Feb' 1st open. 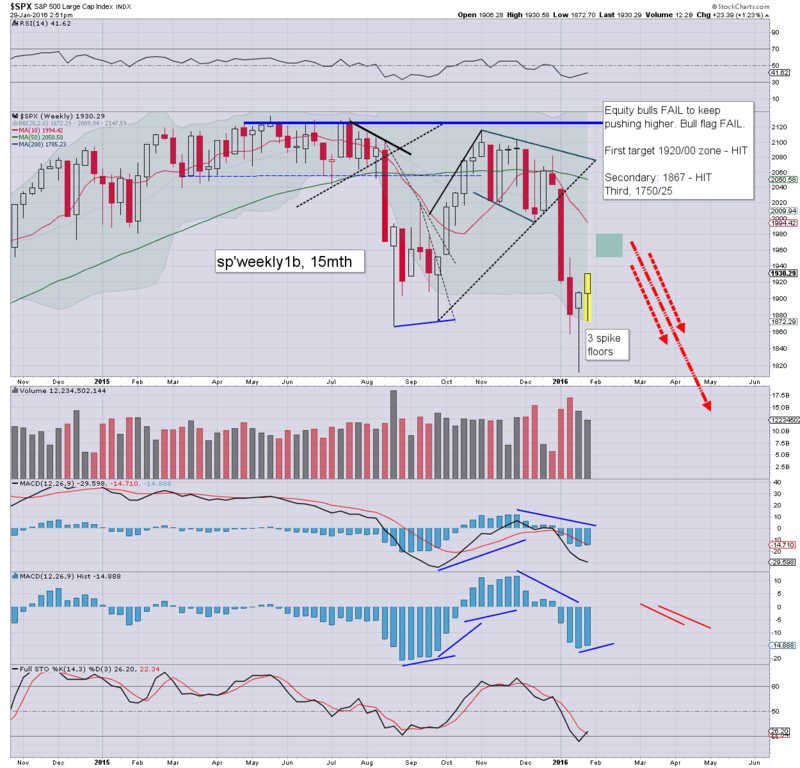 On no reasonable basis can equity bulls expect the Dow to see sustained trading >17K until Aug/Sept' at the earliest. 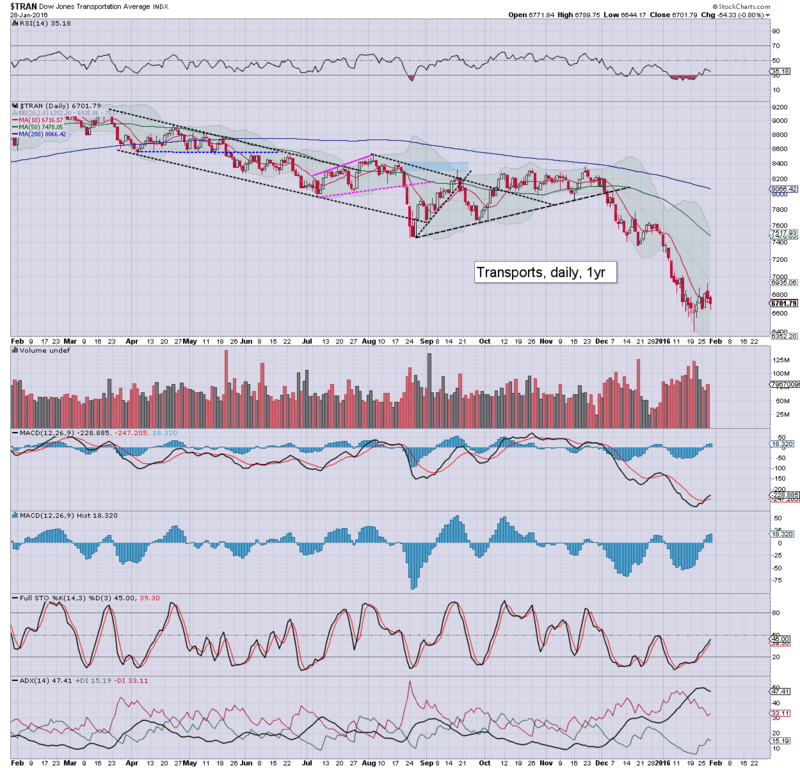 In terms of downside, first target is the Aug'2015 low of 15370. 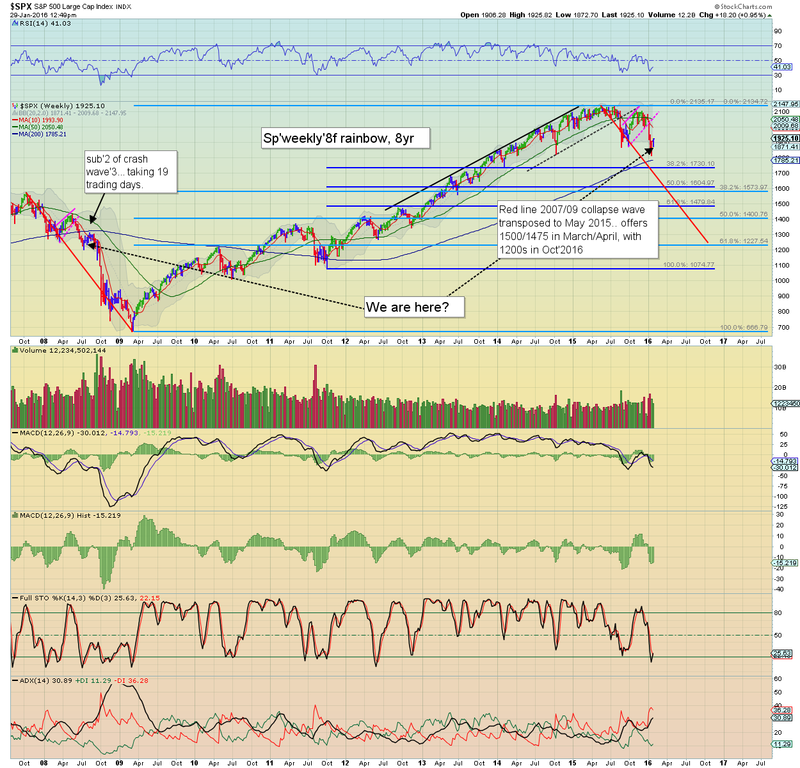 Considering other indexes have already broken well below that equivalent level, it seems an easy target. Below that, the 14200/000 zone, and then 13K. 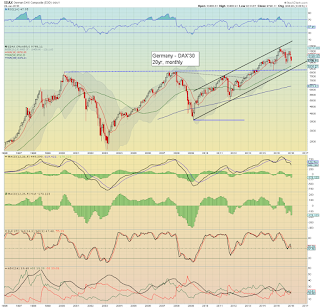 The economic powerhouse of the EU - Germany, saw a net monthly decline of -8.8% @ 9798. There is strong resistance around the 10K threshold. 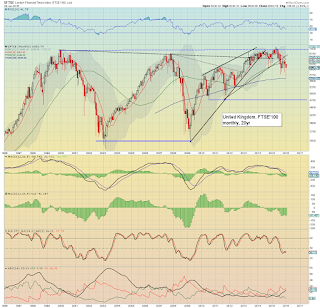 In terms of downside, first big target is the 2000/2007 double top, in the 8300/000 zone. 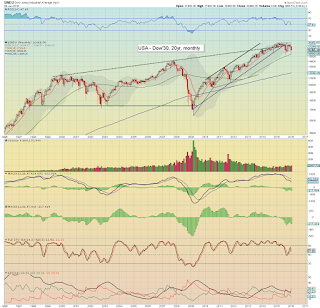 There will also be rising support in the 8800s in April. 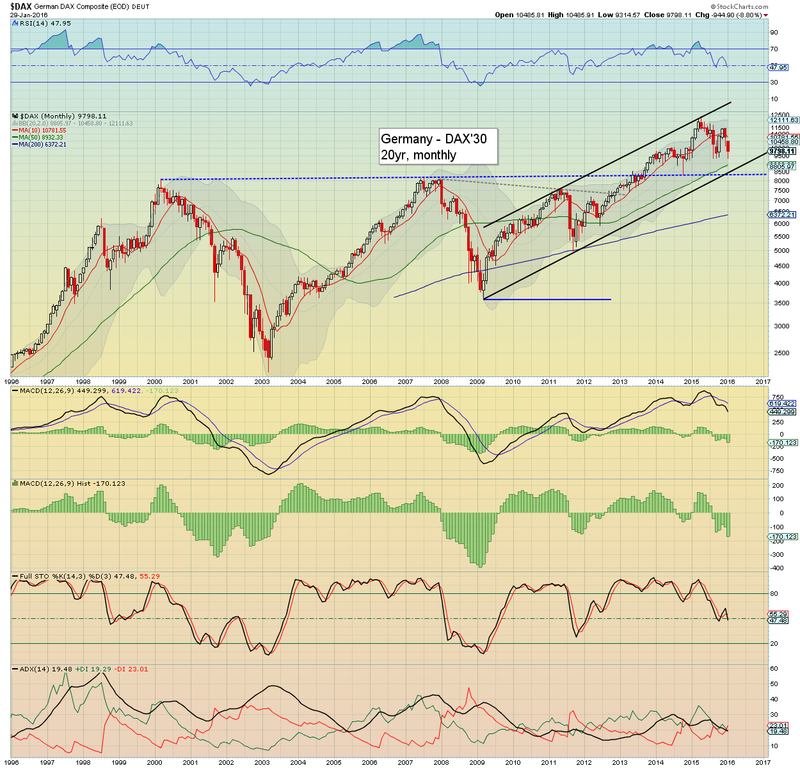 Most bearish case for the DAX is the 7500/7000 zone. 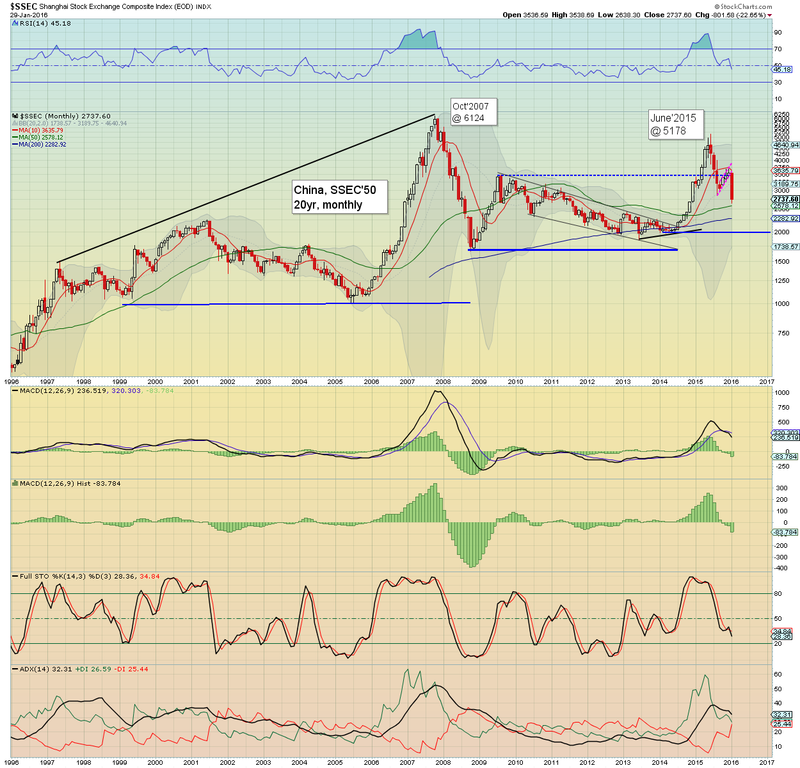 The BoJ fuelled Nikkei saw a January decline of -8.0% @ 17518, having seen a powerful bounce from the 16K threshold. 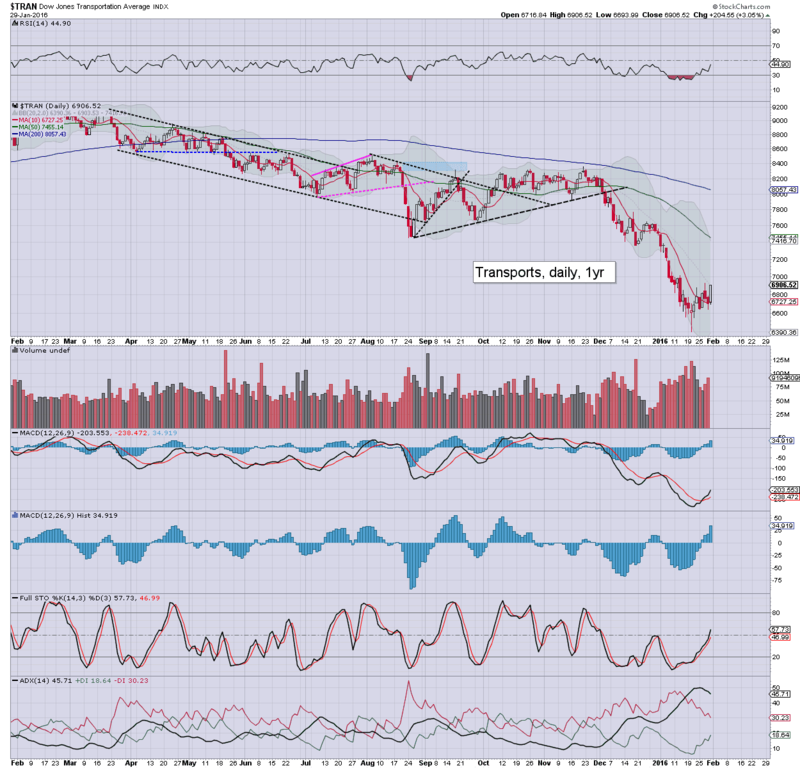 Broadly, further weakness to at least 14K looks due. 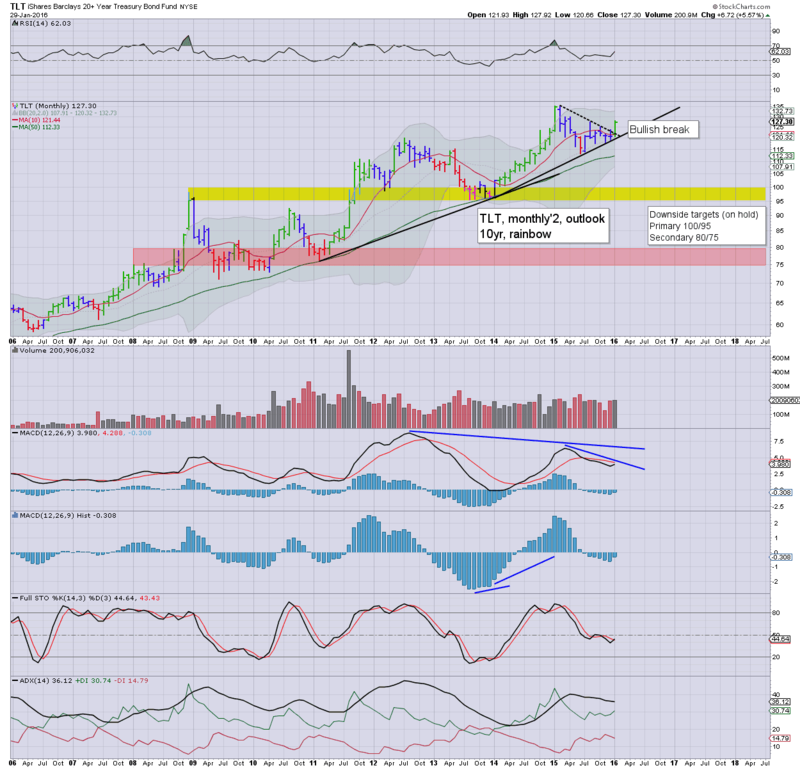 12K is likely the 'best bear case' by April/May. Despite various efforts by the communistic leadership, the Shanghai comp' saw a net monthly decline of -22.6%. Price structure across Aug-Dec'2015 was a very clear bear flag, and the January downside fully confirms it. Next support is around 2500, then 2K. 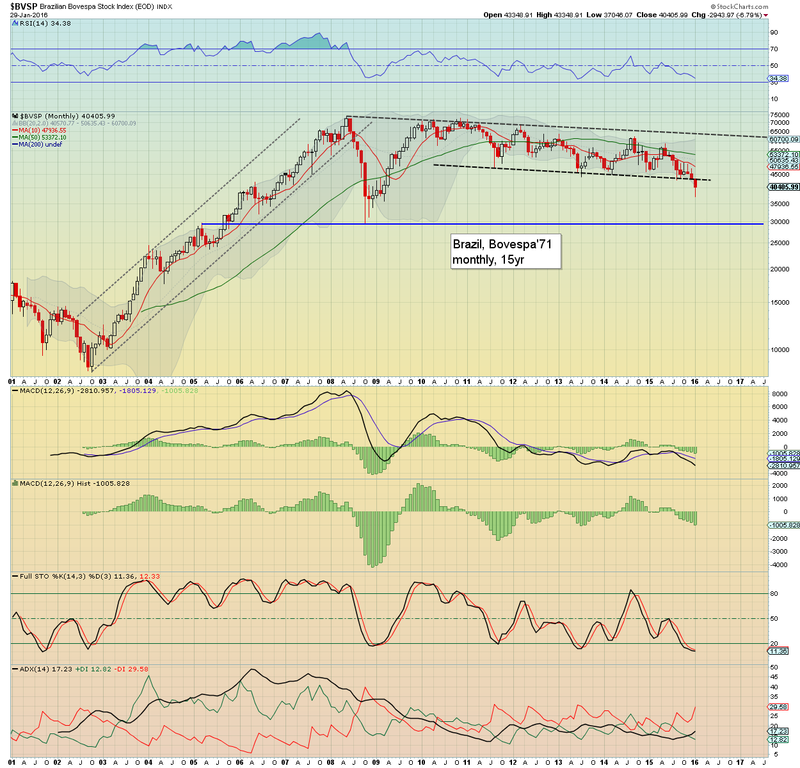 With commodities remaining broadly weak, the Bovespa declined for the third consecutive month, settling -6.8% @ 40405. 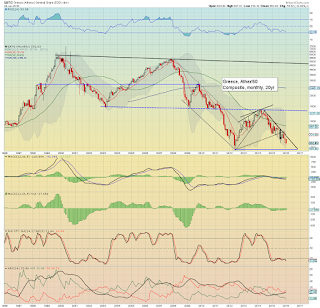 Most notable, there was a clear break of support that stretches back to 2009. It would seem 30K will be hit, and right now that is a full 25% lower. Despite weak energy prices, the Russian market was the most resilient market in January, net lower by just -2.0% @ 741. 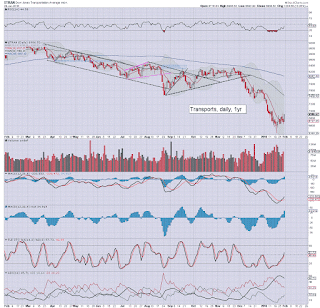 However, the broader trend remains dire, with next downside target of the Dec' 2014 low of 578. That looks likely to be broken, and then its a case of whether the RTSI floors this spring/early summer around 500, or more likely, the 400/300 zone. It is a rarely mentioned issue, but what are the implications for Putin? Is the Russian President not under great pressure from some of the 'big money' in Russia? 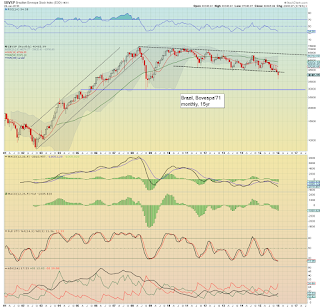 The Russian market is lower by a nightmarish -65% since April 2011. 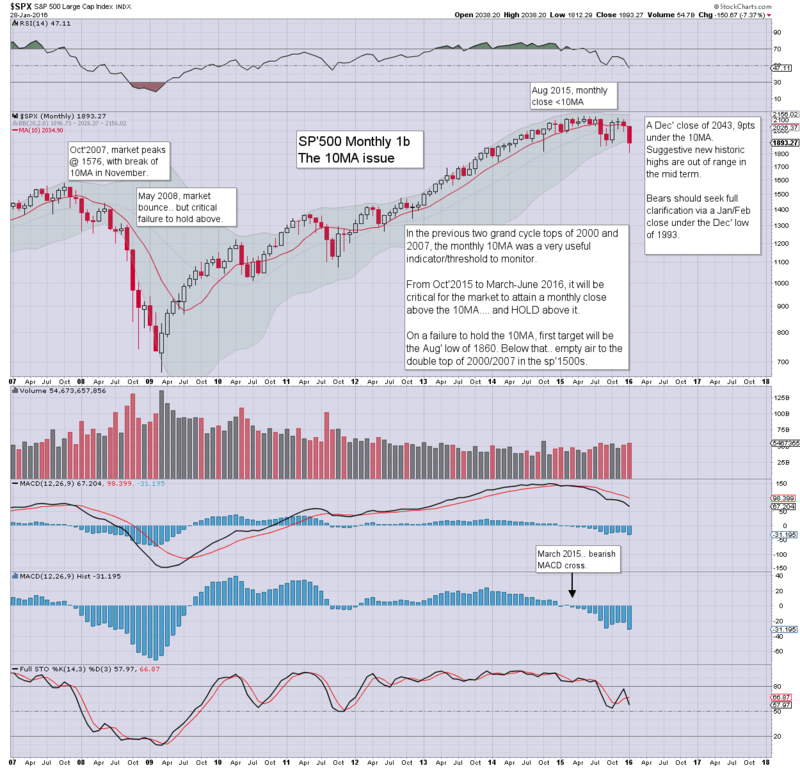 Had the sp'500 declined in a similar fashion, we'd now be trading at 478. The UK market saw an intra month low of 5639 - the lowest level since Nov'2012, but settling net lower by just -2.5% @ 6083. Next downside target is the 5250/4750 zone. 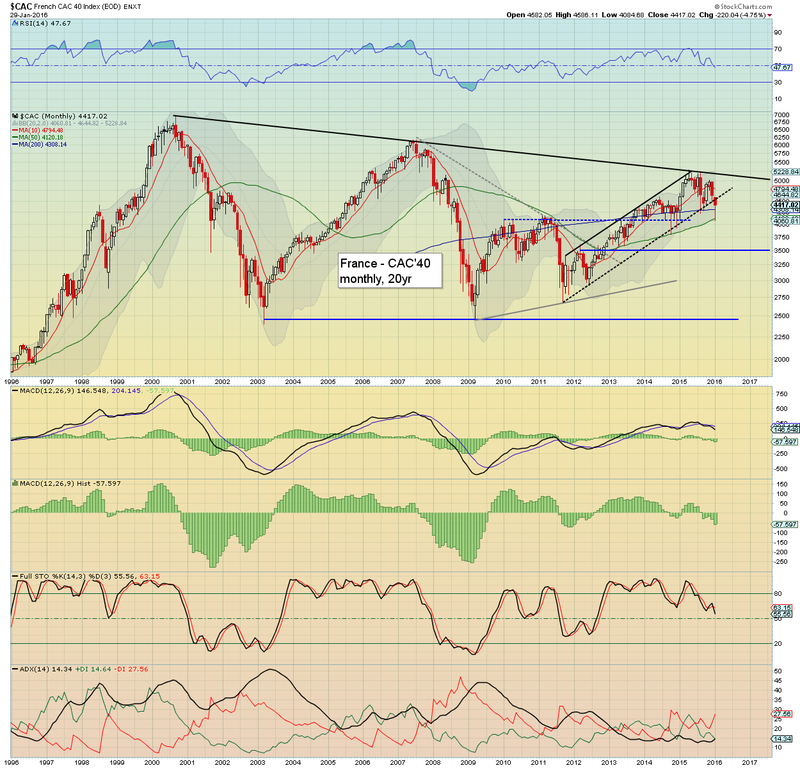 Like most world markets, the French market settled lower for a second consecutive month, -4.7% @ 4417 (intra low 4084). Next downside target is the 3500 threshold. 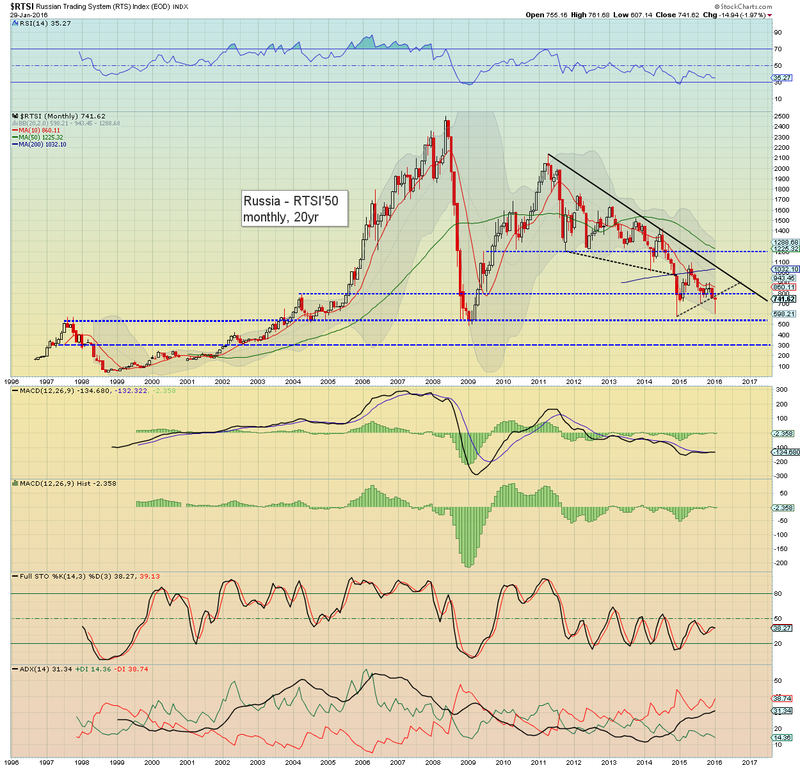 The ugliest of the EU-PIIGS - Spain, saw a net monthly decline of -7.6%, settling @ 8815. Next downside target is 7500, but it would seem 6K is possible by late spring. 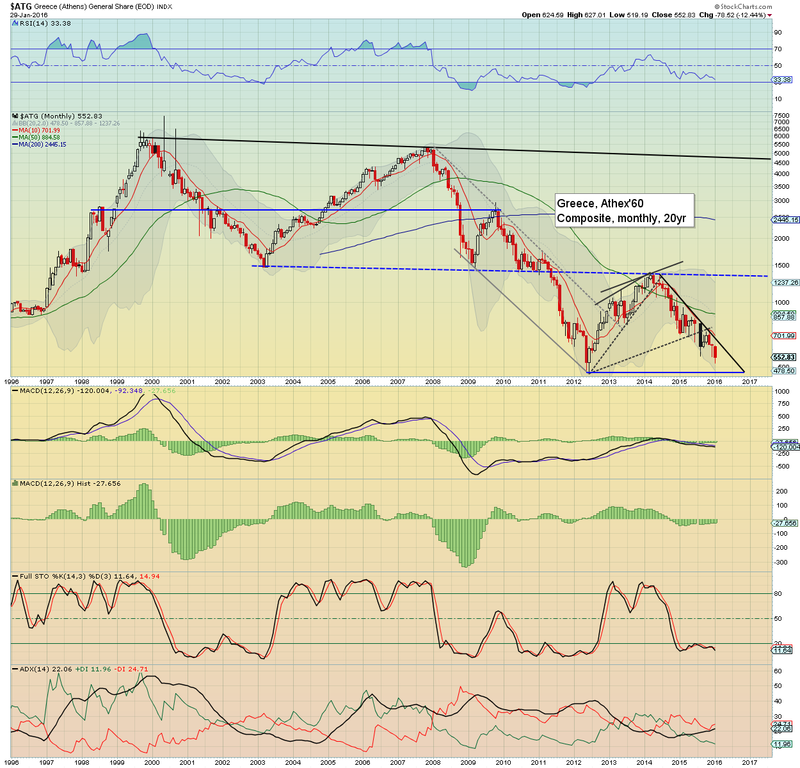 The economic/societal basket case of the Euro block - Greece, saw another horrific decline, net lower by -12.4% @ 552. 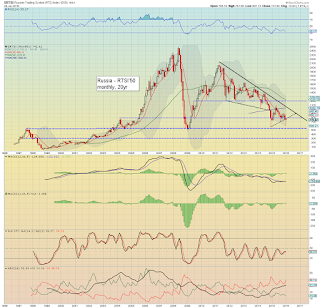 It would seem the Athex is going to break below the June 2012 low of 471, with natural psy' level support at 400, 350, and then 300. It was indeed an exceptionally bearish start to the year. The December 2015 close was a bearish one - with even the US indexes closing under their respective monthly 10MAs. January has given FULL confirmation that the market is in at least a mid term downward trend. 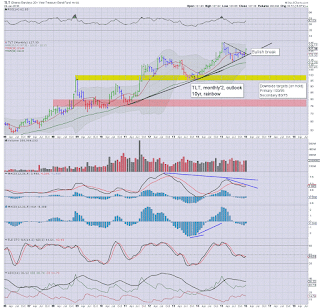 Price structure on many of the monthly charts is highly suggestive that we're now headed much lower into the spring. No doubt the central banks will try to stall/halt the declines - as the BoJ tried on Friday via NIRP. Yet... it won't likely be enough. It would seem that once the current bounce maxes out by mid February, most indexes are set to fall around 20/25% in the next multi-week down wave. It would seem prime time for the equity bears will be March. *there are 3 fed officials on the loose, notably Fischer, 12pm Monday. It was a very bearish start to the year, with the sp'500 -103pts (5.1%), @ 1940 (intra low 1812). The Dow saw a net decline of -958pts (5.5%) @ 16466 (intra low 15450). WTIC Oil settled -$3.45 (9.3%) @ $33.62 (intra low 27.56). 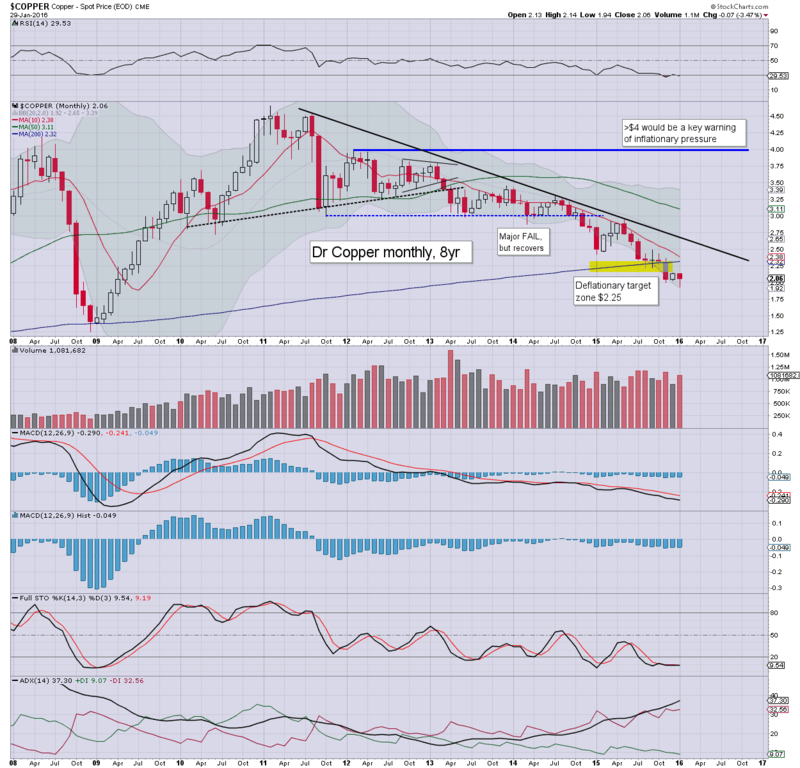 Copper, -3.5% @ $2.06. 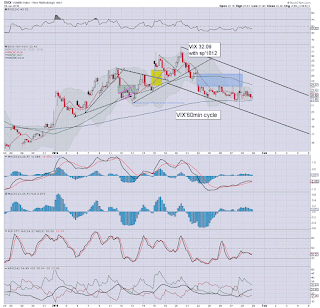 US bonds saw a bullish break to the upside, with TLT +5.6% @ $127.30. Schiff's point about statistics and GDP data interpretation is important. As for the BoJ implementing NIRP - with a rate of -0.1%. 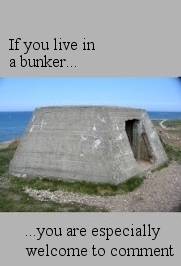 its pretty incredible. 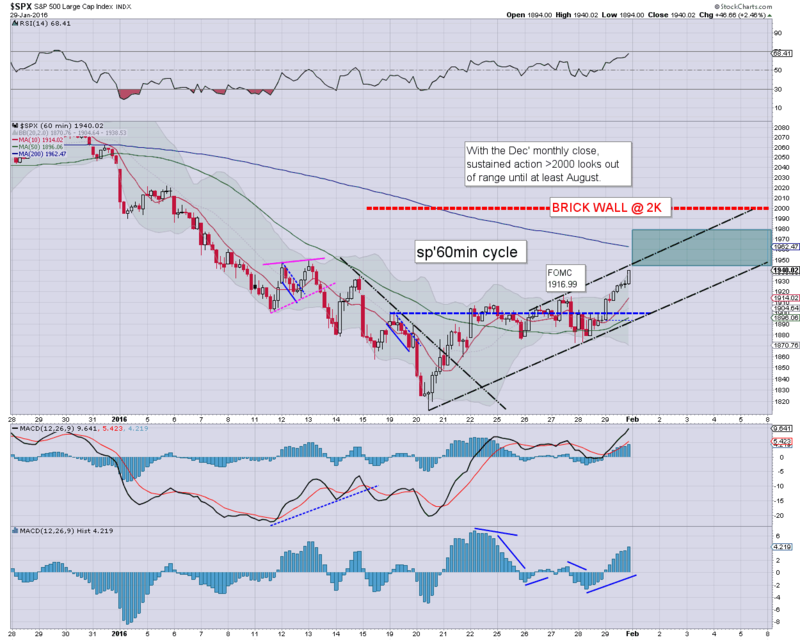 Now it is indeed a case of whether the Fed will follow this late spring/summer. It would seem we'll see further upside into the week of Feb'8th, but from there.. we'll likely get stuck and max out. 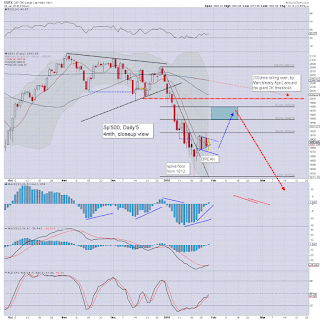 A potential 10-15 day crash wave will be viable in March. US equity indexes end the week and month on a rather positive note, sp +46pts @ 1940. The two leaders - Trans/R2K, settled higher by 3.0% and 3.2% respectively. Near term outlook continues to offer the 1940/70 zone... before the high probability of a crash wave in March. 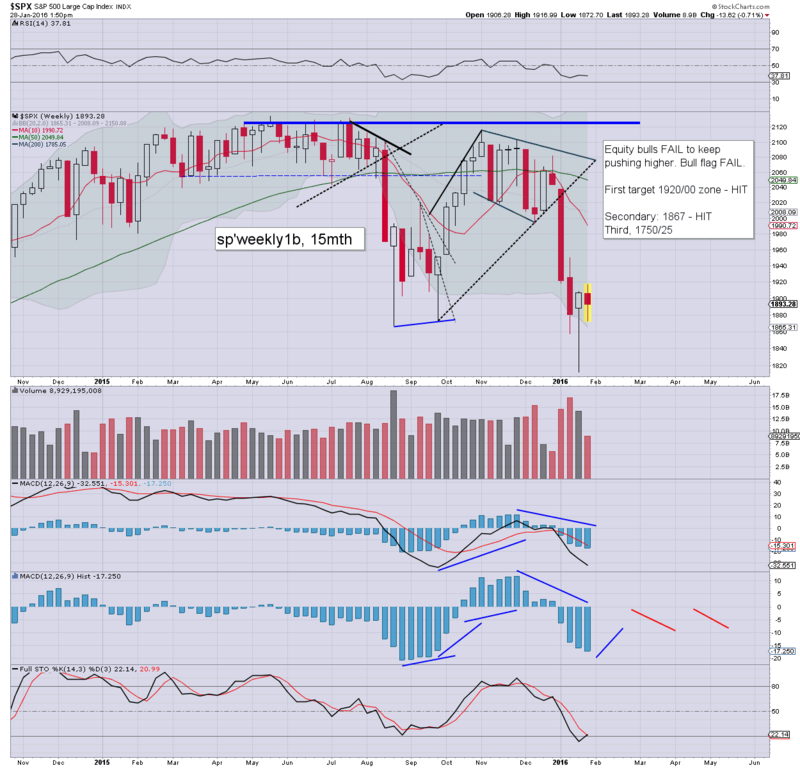 Suffice to add, the bull flag played out on the sp'500, and we've seen rather powerful gains to end the week/month. It would seem the 1950s look an easy target early next week. 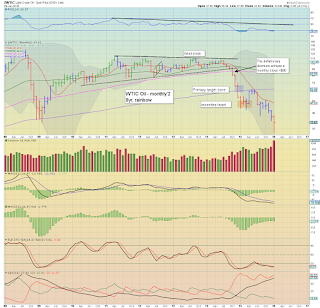 The 1960/70s look more viable in the week of Feb'8th. 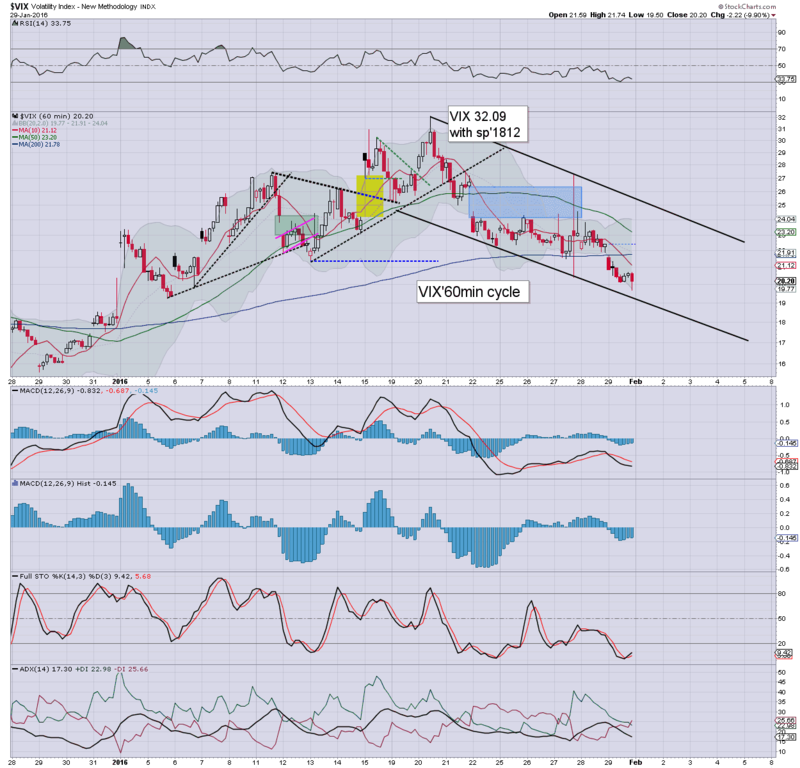 With equity indexes ending the month on a significantly positive note, the VIX naturally melted lower into the weekend, settling -9.9% @ 20.20. Across the week, the VIX declined by -9.6%. For January, a net monthly gain of 10.9%, having seen a peak of 32.09. *a rare look at the monthly cycle. Volatility bulls have their first decent chance at a hyper-ramp this spring. Considering the Aug'24th low of sp'1867 saw an opening print of VIX 53.29... the 60s look possible on a sustained 10-15 day down wave to the sp'1600s. 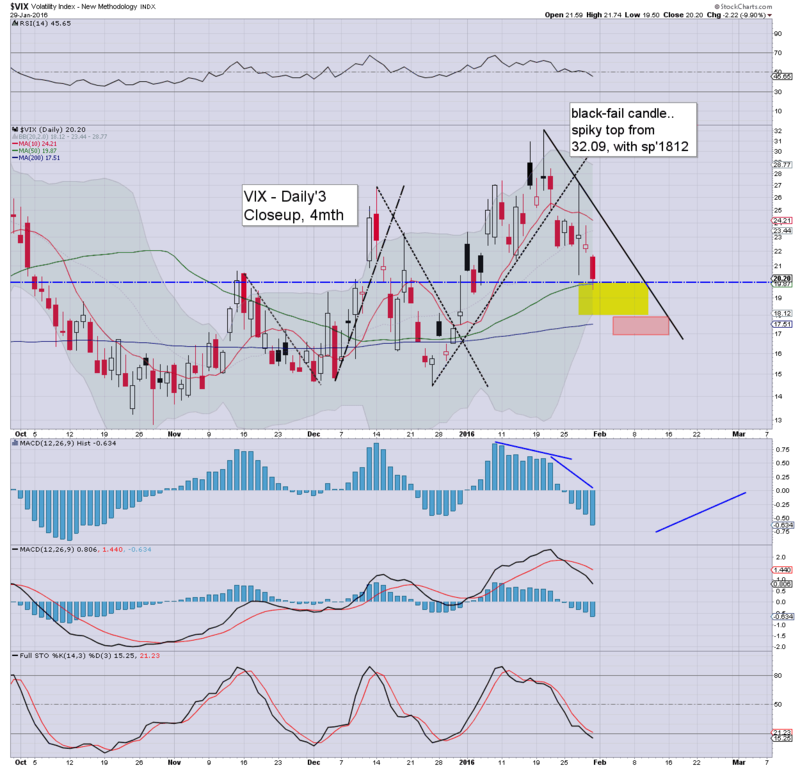 Suffice to add, as equities continue a counter rally from the sp'1812 low, the VIX is naturally broadly cooling. 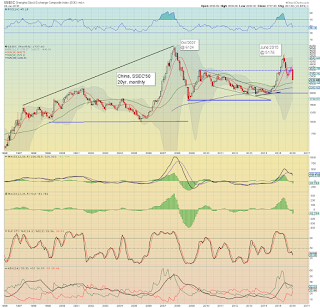 With a closing hour intra low of 19.50, the 18s look probable if sp'1960/70s. I do not expect sustained action in the mid/low teens until late summer at the earliest. *closing hour action: a new cycle high of 1940, bodes for the 1950s next Monday. .. and I thought the 1920s were a bold target for the Friday close yesterday morning. So.. another week comes to a close... one that has probably confused and annoyed many. For me.. as I said across the week, the weekly cycles did not favour the bears. I've never seen a new down wave begin from such a technical setup. To break <1812.. first.. we need to rally, and we've now seen about 75/80% of the gains. 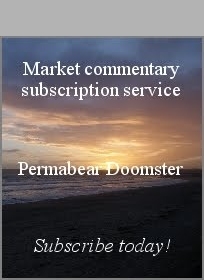 As things are, I think its possible I could start launching market shorts in about 7-8 trading days. *the usual bits and pieces across the evening to wrap up the week... and month. After a great number of swings and tedious price chop, US equity indexes are set for the second consecutive net weekly gain, with the sp'500 due a close within the 1925/35 zone. 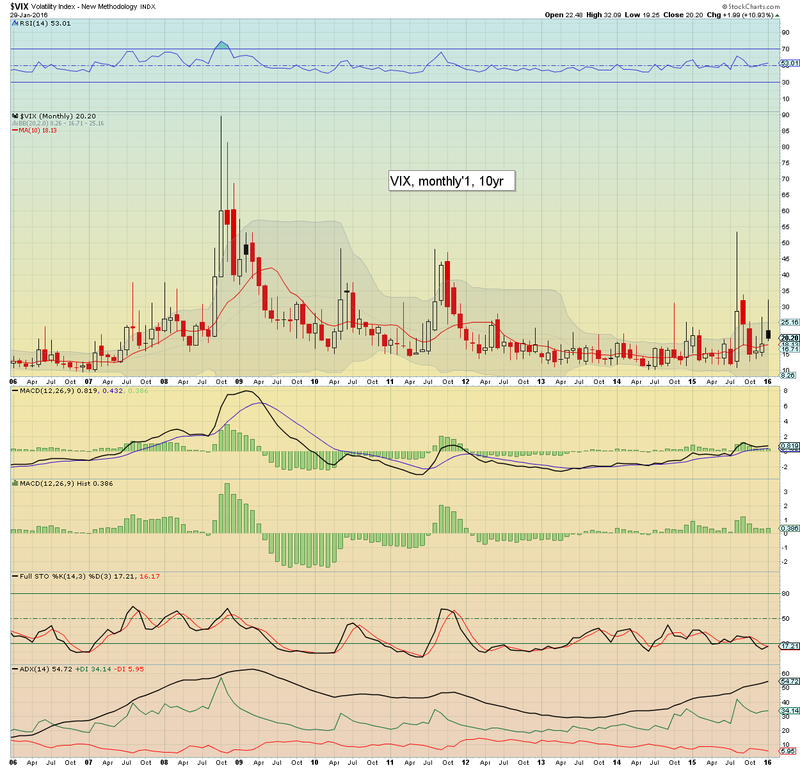 The 1940s look an easy target for next week, with the 1970s more viable in the week of Feb'8th. Well, its been a tough week. Many have been lost in the minor noise.. with the market eventually breaking to the upside, from which did indeed turn out to be a 5 day bull flag. Today's gains sure are helping calm the cheerleaders on clown finance TV. I look forward to seeing the faces of horror and dismay this spring. No doubt they will be screaming for Yellen to launch QE4 and follow the ECB and BoJ with... NIRP. A fierce battle is ahead, not all will make it through to the end of this year. I'll give it a damn good try. 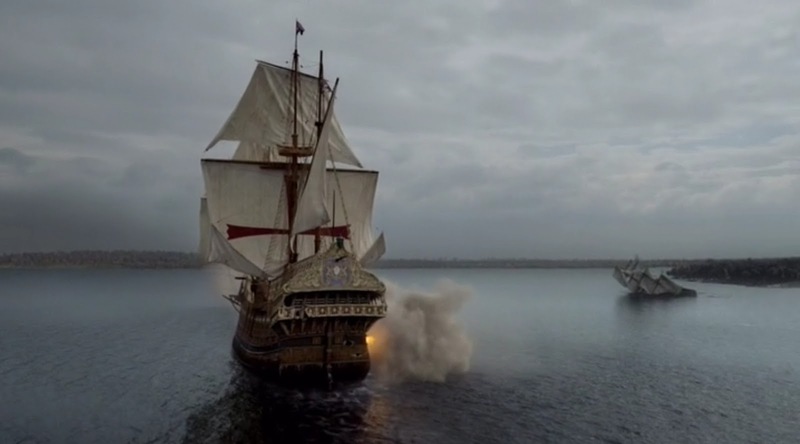 ... more Black Sails, this Saturday evening on Starz. US equities continue to build rather significant gains, with the weekly candle now looking very definitive, and giving clarity that the sp'1940/70 zone will be hit in first half of February. VIX continues to melt lower, now -9% in the 20.30s. Naturally, I am already looking ahead, not just to next week, but even a few months beyond that. The market has now battled upward by a very impressive 116pts (5.8%) since last Wednesday's low. Clearly, we're over half way there in terms of a bounce/counter rally. 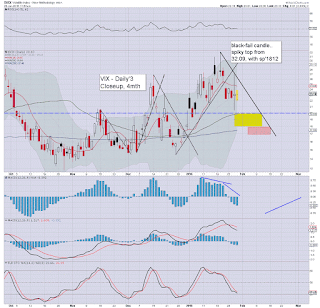 Indeed, now we're just 1% from lower end of the target re-short range of 1945/70s. Right now. I remain highly inclined to scenario'2. 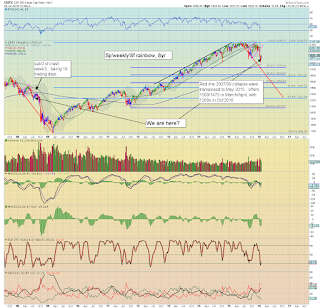 If that is the case.. we'll hit 1940s next week.. a minor retrace to 1920/10s..and then up again. Yellen is speaking Feb' 10th and 11th. Either of those days would make for an interesting top on the daily/weekly cycle. 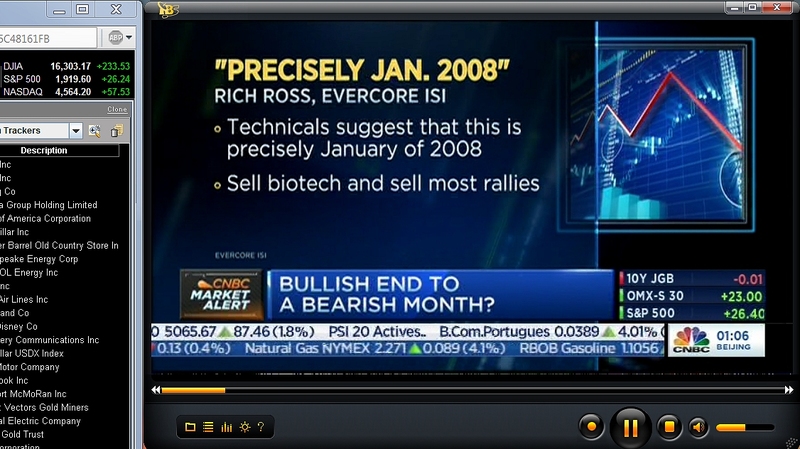 An interesting call on clown finance TV from Mr Ross of Evercore, suggesting this month was analogous to Jan'2008. However, if one wants to invoke that analogy, the pattern would really suggest its July - reflecting the big bear flag (Aug-Dec'2015) that was confirmed by the very bearish January down wave. 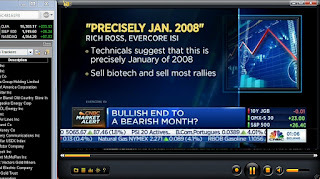 *Rick Ross of Evercore touted the 1700/1670 zone as a valid target in first half. It was interesting to hear him talk about how bankruptcies are to be expected... and that is something I continue to regularly highlight. We've not forgotten about Glencore, FCX, CHK, SDRL etc... have we? To be clear... I am NOT touting sub sp'1600s.. yet. Annoyingly.. if it does occur, it'll be so fast as to catch almost everyone by surprise. I am already thinking I'll probably want to 'trade light' when sp' <1730. 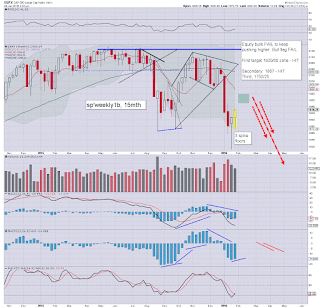 In theory... 3-5 blue candles - much like late July/August 2008.. and then renewed downside in late Feb/March. 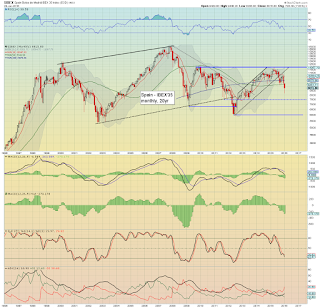 The issue will be... does the market see a collapse wave that gets stuck above the double top of 2000/2007 - sp'1600/1575 zone.. or will a few mini 'black swans' spook the market to the 1550/1400s in March/April. 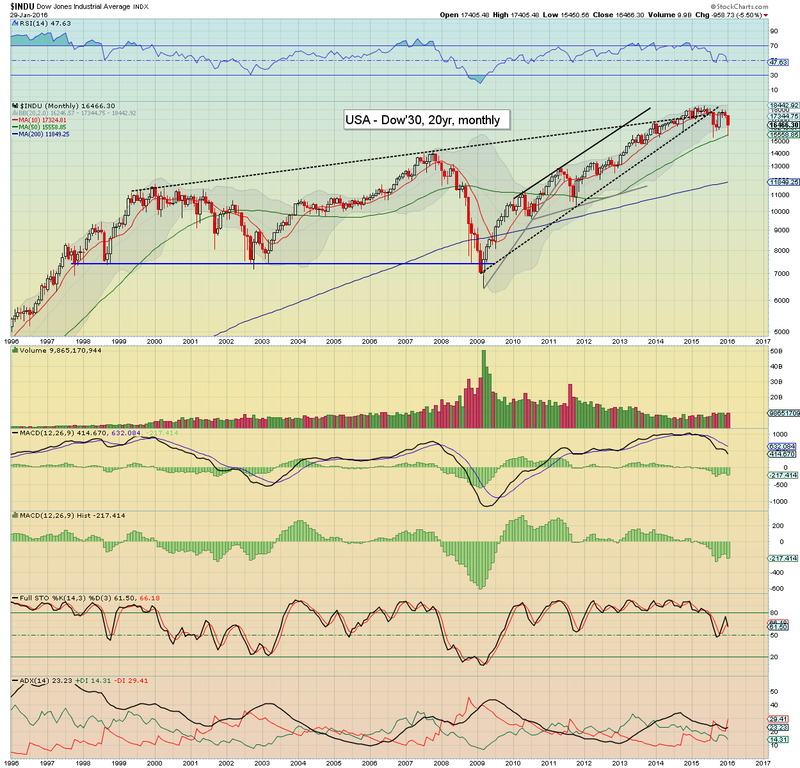 If its the latter, then a floor of sp'1200s in early Q4 would make sense. Anyway.. its something to ponder on... for an hour. US equities have built significant gains, and there is now threat of a weekly close in the sp'1920s - which would make for a rather bullish weekly candle. 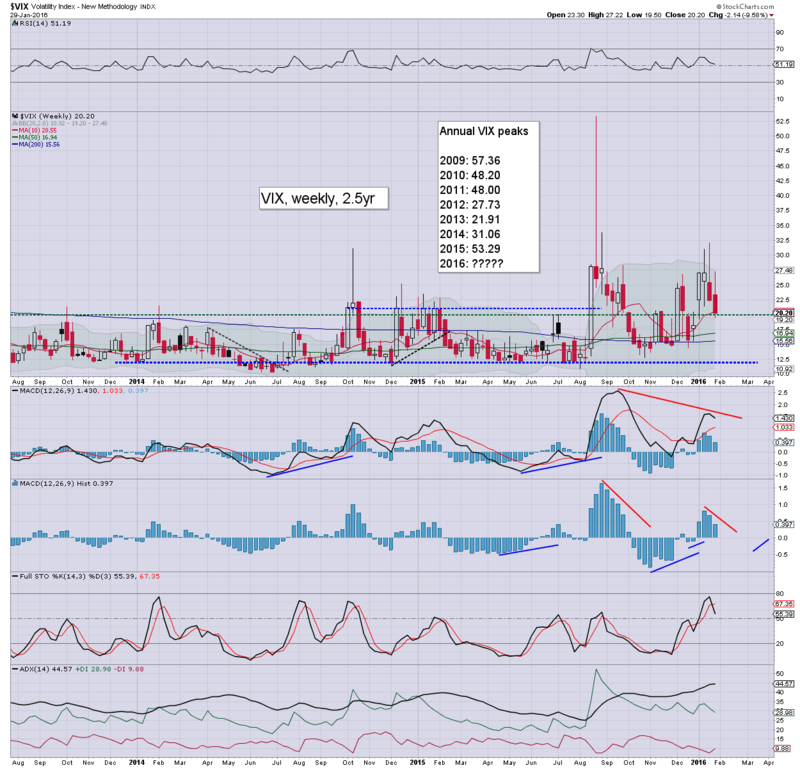 VIX remains in cooling mode, -7% in the 20.80s. Oil is continuing to retrace, -2.6% in the $33s. 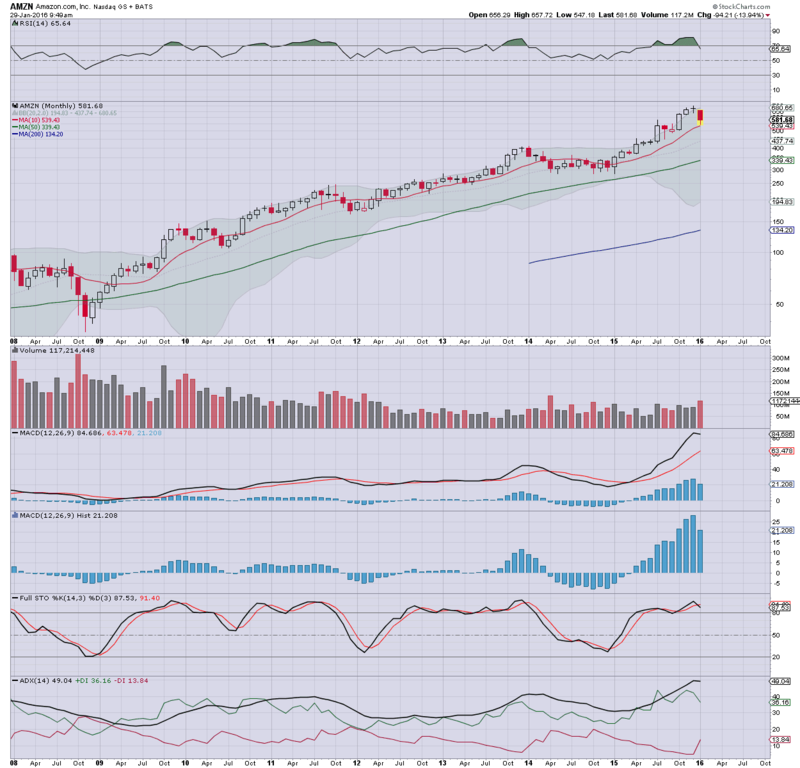 *note the MACD (green bar histogram), levelling out.. set to tick upward for a few weeks. Suffice to add, the first blue candle.. and its highly indicative that the 1940/70 zone will be hit within the first half of February. To me, the only issue is how many blue candles might we see before the next rollover. 3, 4, 5... it won't be that many before next down wave. 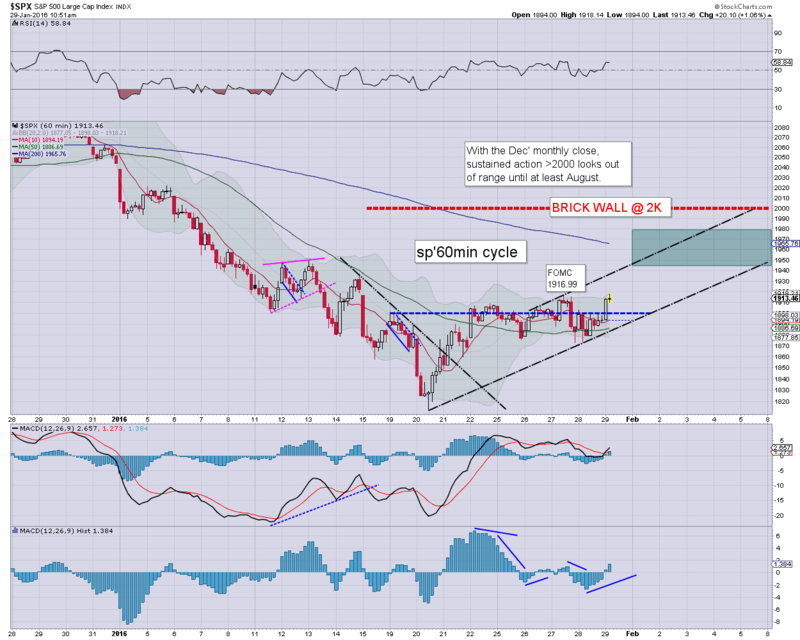 US equities break a new cycle high of sp'1918, although there are already signs of a little cooling. USD is showing some rather powerful strength to end the month, +1.2% in the DXY 99.70s. Metals are managing moderate gains, Gold +$4. Oil continues to remain volatile, swinging from +1% to -1%. We've sp'1910s... along with VIX -6% in the 20s. Clearly, the market is still broadly weak... but the 1940/70 zone looks on track. The sun to set on month'1 of 2016. We have our first blue candle. We should get at least 2 more of these... maybe 4-5.. depending on how long it takes for the market to rollover into the spring for a probable crash wave. US equities open moderately higher, back over the sp'1900 threshold. Regardless of today's close, January is set to close net lower by around -6%. Metals are broadly flat, whilst Oil is battling to hold gains of around 1.0% in the $34s. *Chicago PMI: 55.6 .. a bizarrely high number. It makes little sense, I'd have to assume we'll see a number back under the 50 threshold in February. So.. we're set to end the month on a somewhat positive note, but for those with eyes on the bigger picture... January merely confirms what December was provisionally suggesting. Note the upper bollinger on the daily equity cycle.... 2020s... Next week, that should be around 2K... and will make for another aspect of resistance across February. 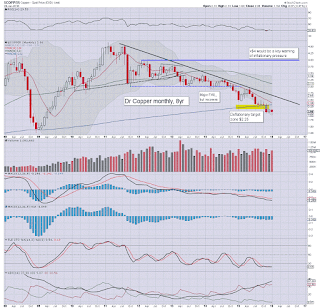 Seen on the bigger monthly cycle, we have one of the biggest net monthly declines. Underlying MACD (blue bar histogram) is rolling over. 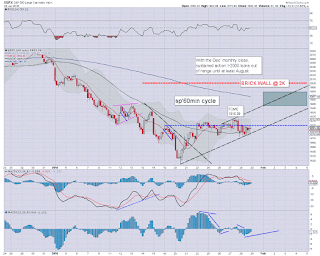 Assuming a down cycle into the spring, first target is the $400 threshold.... which is some 30% lower than current levels. Good morning. US equity futures are moderately higher (ahead of GDP data), sp +11pts, we're set to open at 1904. USD is +0.6% in the DXY 99.10s. Metals are broadly flat. Oil is cooling, -0.5% in the $33s. 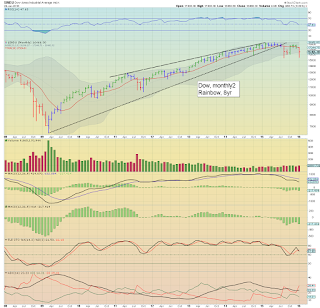 Even if the market closes today net higher by 20/30pts, it will still make for one of the most bearish January's ever. *bulls need a Friday gain 13.6pts for a net weekly gain.. that is clearly possible. However, market faces two likely bearish data points today... GDP and Chicago PMI. 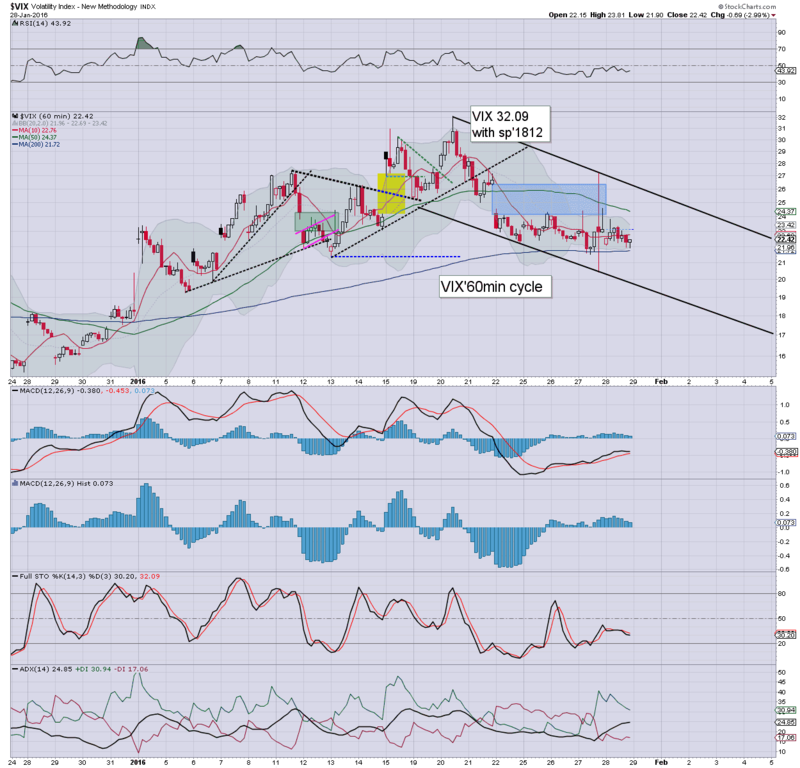 TVIX -2.8% @ $8.94. The 7s look an easy target within 2-3 weeks. Japan: very unstable session... but settling +2.8% @ 17518, after the BoJ decided NIRP will solve their underlying problem of too few babies. 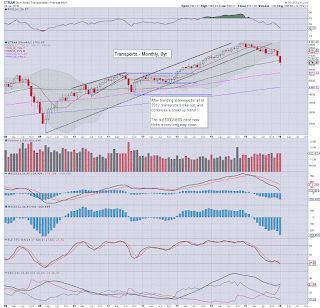 It is extremely notable that ALL world markets are settling January with dire net monthly declines. I will cover that in depth this weekend. 9.46am.. PMI 55.6 , crazy... makes NO sense. Equity bulls should be laughing at that one.. Regardless of whether the market closes the week in the sp'1920s, 10s, or <1900, the January close will be a very bearish one, with a net decline of -6% to -8%. 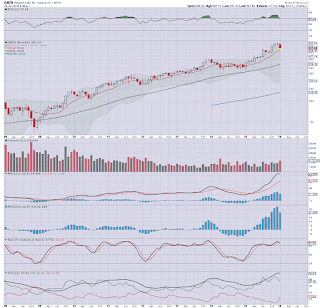 The Jan' close will fully confirm the bearish December close, with the sp'1600s probable this spring. 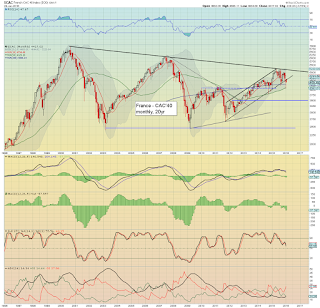 *the 'old leader' looks dire, headed back to the 2012 breakout level of 5500 or so. So.. regardless of how tomorrow closes, we're seeing important downside follow through. 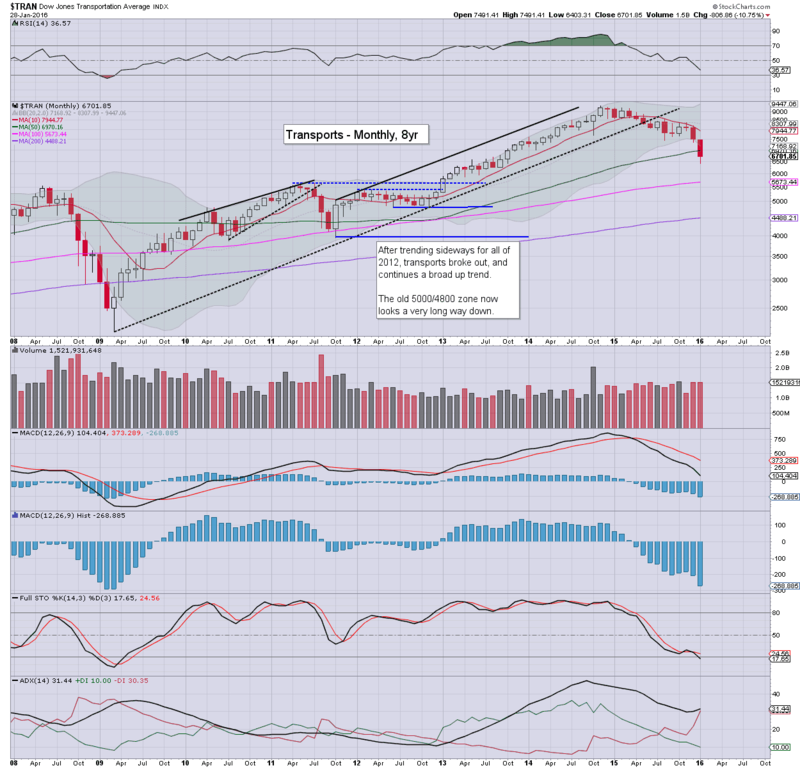 At best, the equity bulls could make a play to test the monthly 10MA, but as of next Monday's open, that will probably have declined to around sp'2000. Sustained action >2K looks out of range for many months. Friday has a rather important set of econ-data points..
Q4 GDP. Market is expecting growth of around 1%. That is of course much lower than consensus from just a month ago. Its possible - based on other data, that Q4 will come in fractionally negative. In any case... the US, and broader world economy continue to have building problems as a result of the ongoing collapse in commodities. Other data: Chicago PMI, market is expecting 45.. which would still be well below the recessionary threshold of 50. Any print <50 should have everyone at least concerned. A print <40 should sound alarm bells. *Fed official Williams is due to appear in the afternoon. US equities closed moderately mixed, sp +10pts @ 1893 (intra low 1873). The two leaders - Trans/R2K, settled -0.8% and +0.1% respectively. Near term outlook is for a Friday or Monday close >1900, and that will confirm the 1940/70 zone will be hit in first half of February. 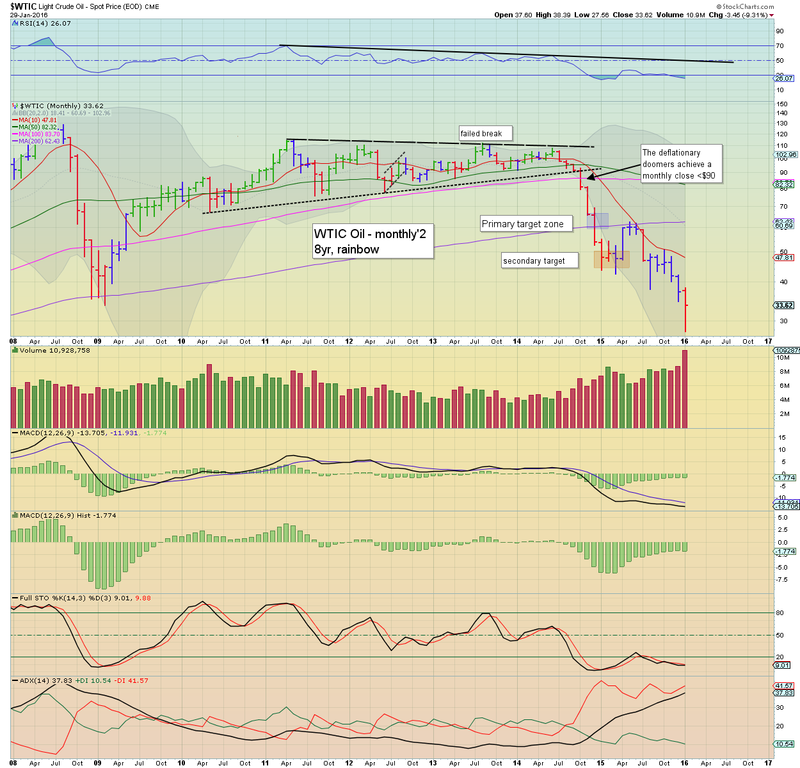 Suffice to add, price action sure is choppy, but we're comfortably above last weeks low of sp'1812. Best guess remains.. further upside (if even more choppy) to the sp'1940/70 zone. 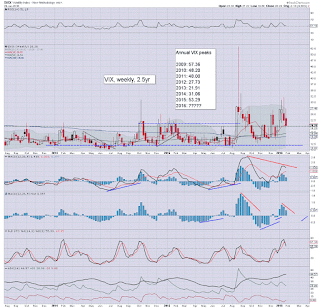 With equity indexes closing moderately mixed, the VIX was back in cooling mode (intra low 21.90), settling -3.0% @ 22.42. 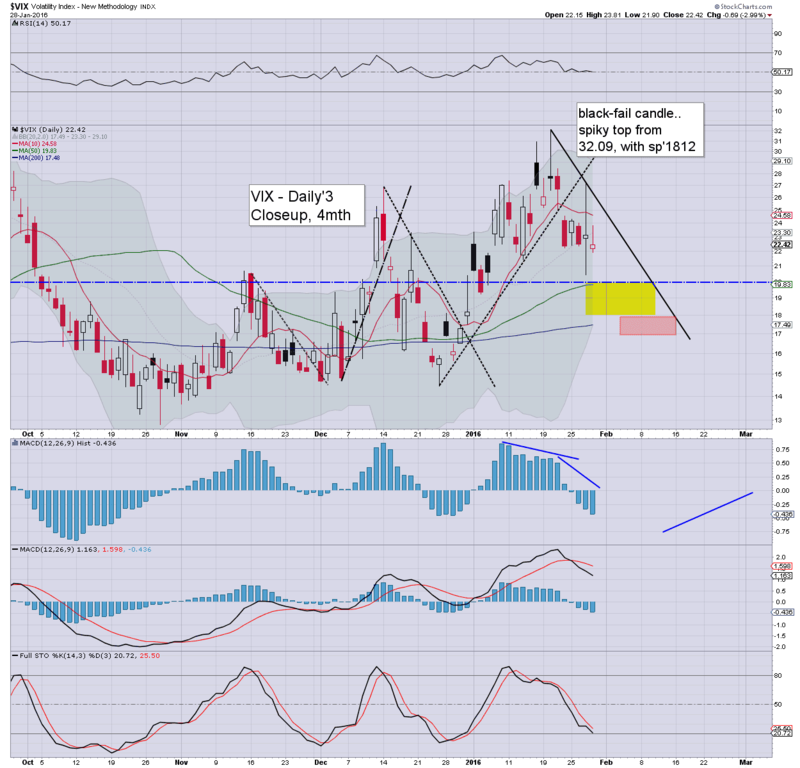 Near term outlook offers the sp'1920s, with a mid' February target of the 1940/70 zone, and that should equate to VIX 18/17s. Suffice to add, yesterday's messy FOMC action is now fading away.. and the VIX is naturally resuming cooling. 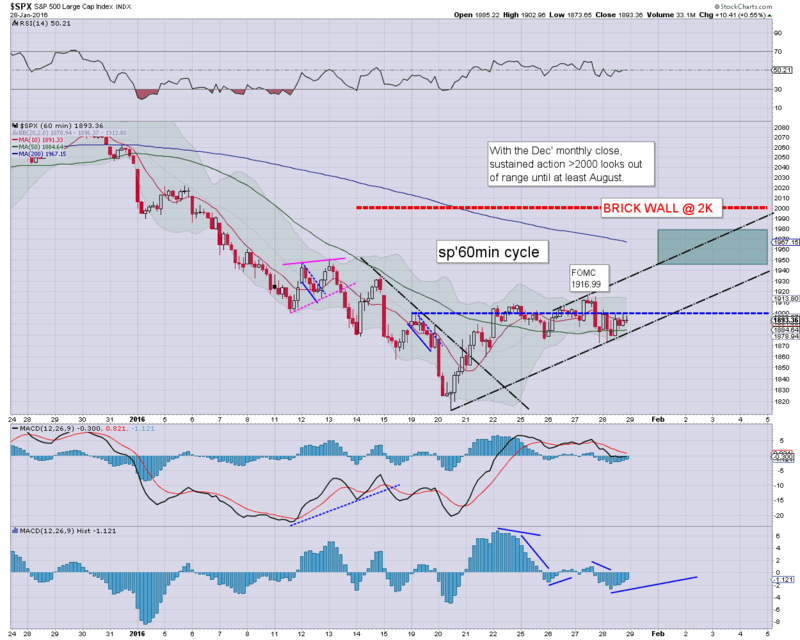 It seems highly probable that we'll see at least a few daily closes under the key 20 threshold. 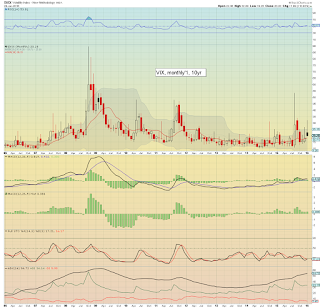 *if I am right about sp'1970s - around mid Feb', then VIX could get as low as the 17s. Anything <15 looks out of range, not least as underlying equity price action is clearly still very bearish. *closing hour action: micro chop.. stuck under the sp'1900 threshold. Well, not much to add... despite what was another day of rather significant swings, from 1902 to 1873... and back to 1899. A daily close >1900 looks due.. whether that is achieved tomorrow or next Monday.. makes little difference. 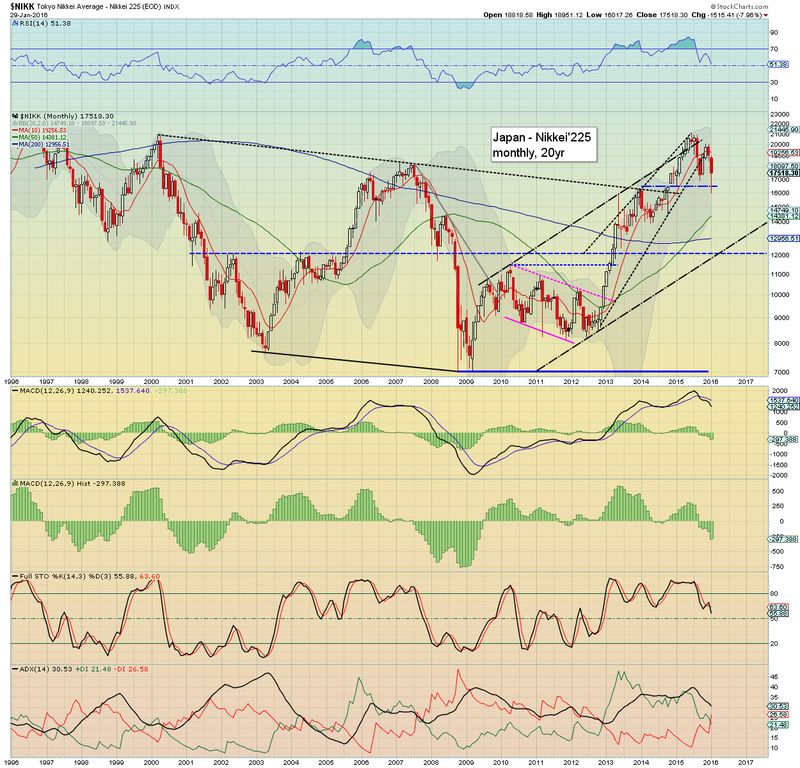 We still look set for the 1940/70 zone. The real issue is that mainstream will soon be on the 'everything is fine again' train... and how things fall apart then.. should be pretty exciting. Many will have been understandably dizzy at the ongoing intraday swings, but broader price structure remains a rather clear bull flag. A daily close >sp'1900 will keep open the door for a weekly close in the 1920s - along with VIX losing the key 20 threshold.. and that will give clarity into mid February. *note the daily MACD (blue bar histogram) equity cycle, positive for the first time since Dec'31st. It is notable that despite the many swings across the last five trading days, the VIX remains relatively subdued (ignoring the arguably 'rogue print' of 27.09). I've been going through/updating dozens of individual company charts today. Most of the main stocks look dire... many offer at least 15/20% downside within 2-3 months. 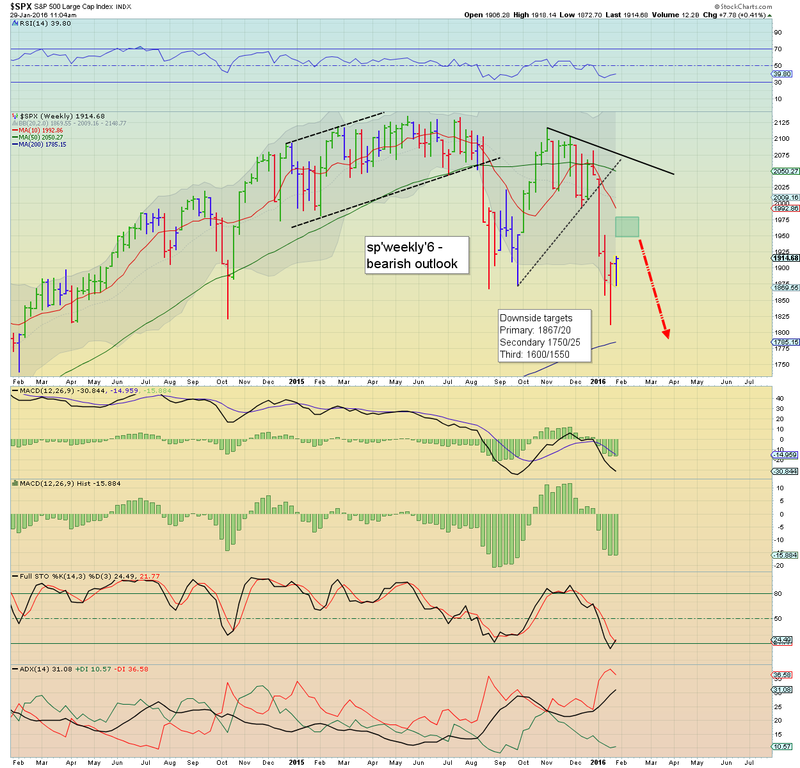 A fair few stocks are already well below their 2008/09 collapse wave lows, and look headed for total destruction. 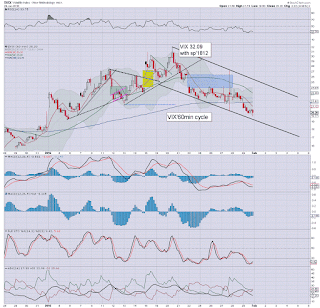 It'd seem many have already forgotton about Glencore, Freeport, etc.............. industry capitulation is STILL due. US equities continue to see rather notable intraday swings, although the VIX is certainly not in favour of broader market downside. A daily close in the sp'1900s remains viable... with a weekly close >1920, regardless of the next lousy GDP data print (market consensus is around 1.0%). 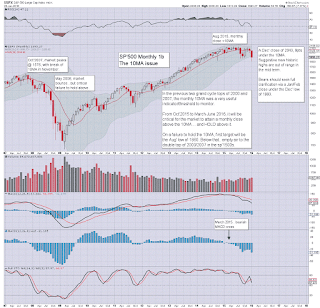 *the current weekly candle is already offering a rather clear spike floor from sp'1872. A Friday close >1920 would really give clarity for where we'll be in 2-3 weeks. Well, there is little to add.. as the market is fighting hard for a net daily gain. Volatility is still comfortably above the key 20 threshold, but looks set to melt into the upper teens as early as tomorrow. 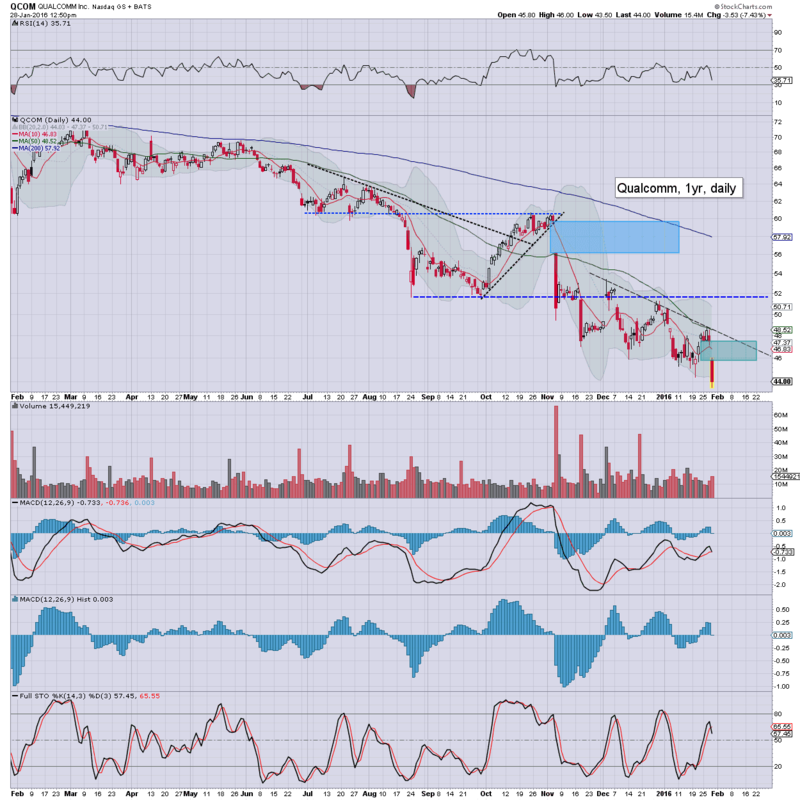 notable weakness, airlines, DAL -3.3%, UAL -3.0%.... higher oil/fuel prices are not going to help. 1pm update - dizzy yet? US equities are making a play to break the early high of sp'1902. A daily close in the 1900s will keep the door open for a weekly close in the 1920s (despite a looming lousy GDP data print), and that should solidify the outlook for another few weeks. The intraday swings are getting pretty tiresome.. almost as much as hearing those who are touting the imminent collapse of the USD or financial system. In any case... market wants to push upward. Despite the market rebound, QCOM is still struggling. 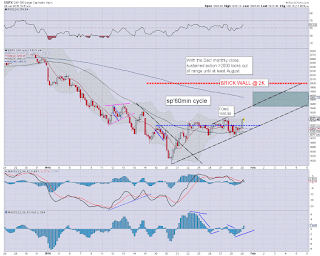 Sustained action >$50 looks out of range until Q4. 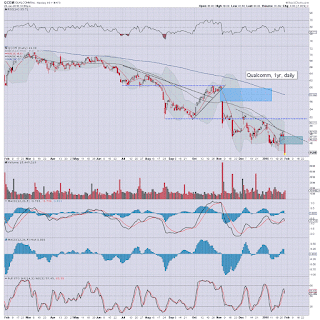 First soft downside target is $40... most bearish outlook is the 32/30 zone (assuming sp'1600s). 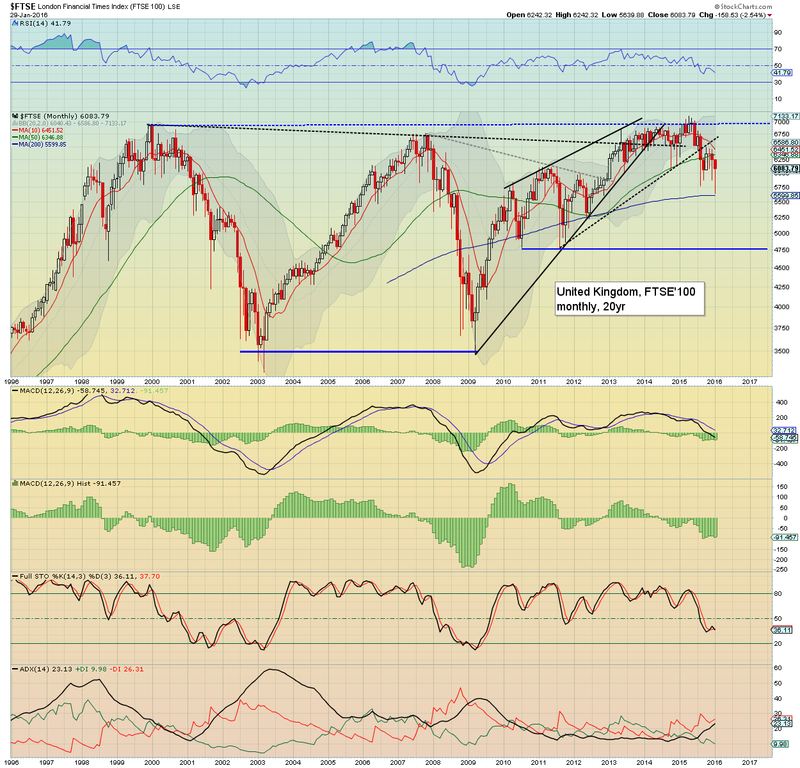 Another swing from sp'1873-93, with indexes now back to broadly flat. Price action across the past five days is no doubt making most dizzy. 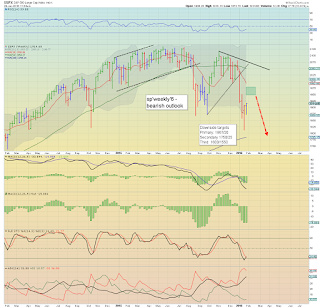 Structure is pretty clear - a bull flag, highly suggestive of the sp'1970s by mid February. VIX remains subdued, u/c in the 23s. Price structure IS a bull flag, now five days wide. If sp'1970s within 2-3 weeks, the mainstream will be rather pleased with themselves... which is when the floor should be pulled out from them. At the very least... that will be rather pleasing to see.